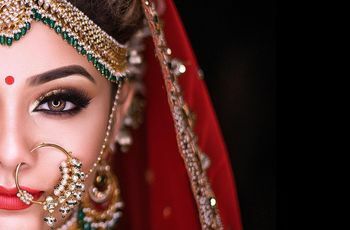 5 Basic Indian Bridal Makeup Tips Every Bride Should Swear by for Her Wedding | Wedding Tips ARE YOU A VENDOR? Get gorgeous with these bridal makeup tips to look oh-so-amazing at your wedding. 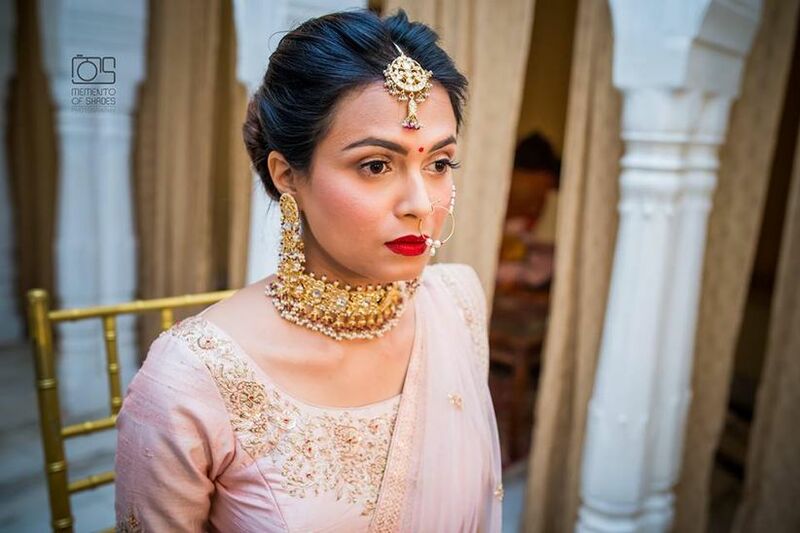 Leave everyone in awe of your bridal avatar and slay like the queen you are. 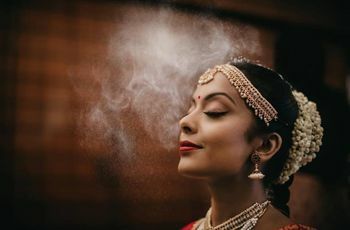 Bridal makeup is one of the important aspects of a bride’s look that requires thorough thought, planning and preparation. 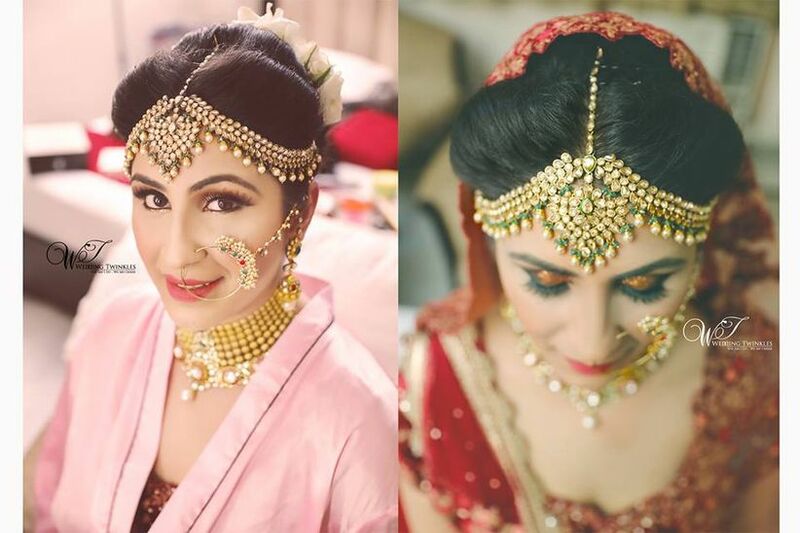 For bridal makeup tips that suit your particular needs, you have to find the perfect makeup artist who understands your needs and expectations. 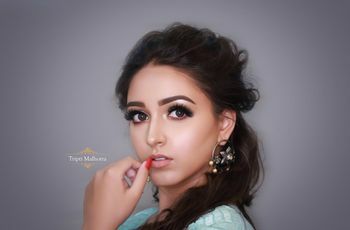 Be open with your makeup artist with your expectations from the look and the choice of makeup you want, whether HD, airbrush, party makeup or regular bridal makeup. Pair the look with a bridal hairstyle that enhances it. 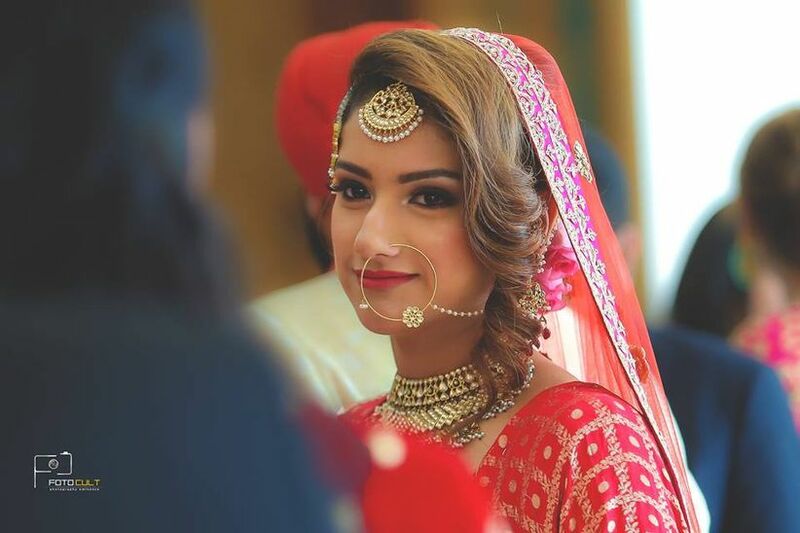 Here is a list of 5 essential bridal makeup tips to get ready and get gorgeous! Makeup only looks good when your skin is healthy. Everyday pollution and ignoring the needs of a regular skin care regime can greatly ruin the health and appearance of our skin. Dear bride-to-be, start prepping your skin well in advance, typically 6 months before the wedding day. Follow a healthy skin care regime that includes deep cleaning, toning and moisturising. Use sunscreens, day and night serums or creams to pamper your skin and prepare your skin from within. Makeup only accentuates your natural beauty, start with getting a natural glow. Remember to include these habits in your daily routine and not skip on them as a little effort each would go a long way, even after your wedding is over. 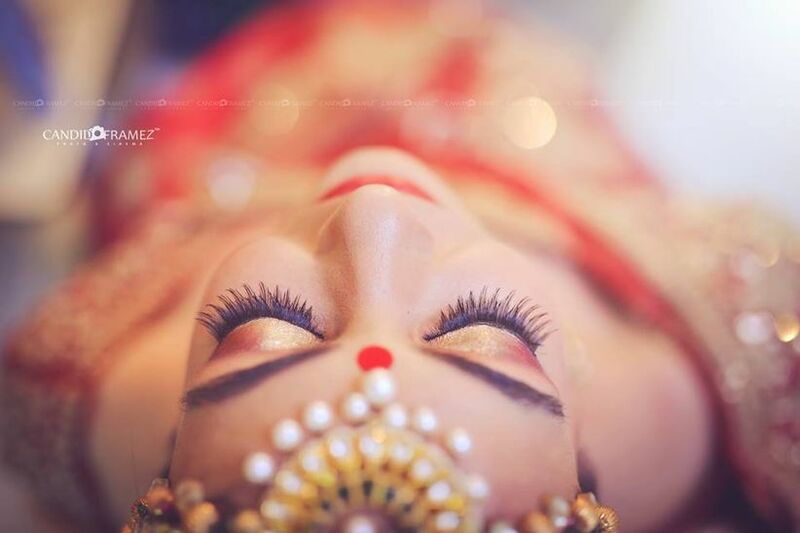 Dramatic eyes are an absolute must when it comes to the quintessential Indian bridal makeup. Go bold or go glitter, add fake lashes and layers of mascara, let your eyes be enhanced and make a statement. You can bring in the sensuality of dark smoky eyes, or play with glitter; use a metallic eyeshadow or even use a bright pop of colour. Adding Swarovski to the lash end or at either end of the waterline is another latest bridal makeup trend that looks spectacular. Talk to your makeup artist regarding which look would suit you best since you don’t want your bridal look to be off. Of all the bridal makeup tips, one of the most important is the use of blush. If you really want to look natural and keep your makeup look trendy, stylish yet not ‘over the top’, say no to very dramatic blushed cheeks. Keep your blush very natural, a soft pink or even a neutral shade for a slight colour. You can add a highlighter to the cheekbones, but steer clear from using a very bright blush colour. Bridal makeup is all about your natural beauty, let your cheeks show a beautiful bridal blush that looks natural and makes you look gorgeous. Bridal makeup tips may vary, opinions and choices may differ but the one thing that remains common is – bold lips! 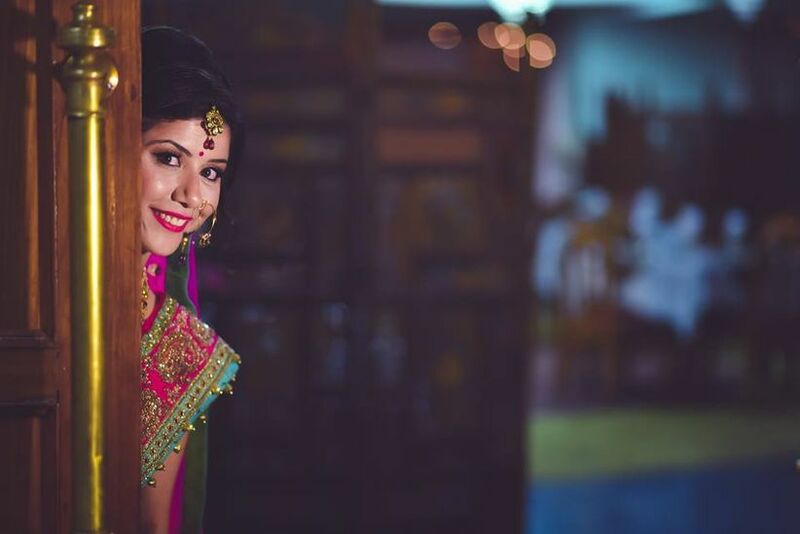 Use a bright shade of red or pink to give yourself the perfect pout and stand out against your red bridal lehenga. Most importantly, say no to glossy lips and show off stylish, subtle and sensuous matte lip shades. Adding gloss to your lips can lead to the running of your lipstick and even leave dirty lip stains on glasses you use. Matte lip colours stay longer, look better and are definitely the current rage. You can add a few metallic stains to your lip colour or even create a shaded effect but keep it bold. Remember to use a liner to prevent the lipstick from running. 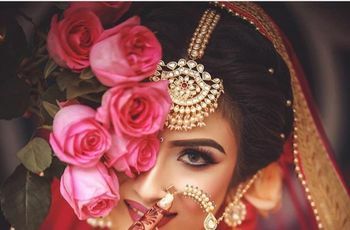 The best example of their graceful look is the Bengali bridal makeup complementing the red and white saree. 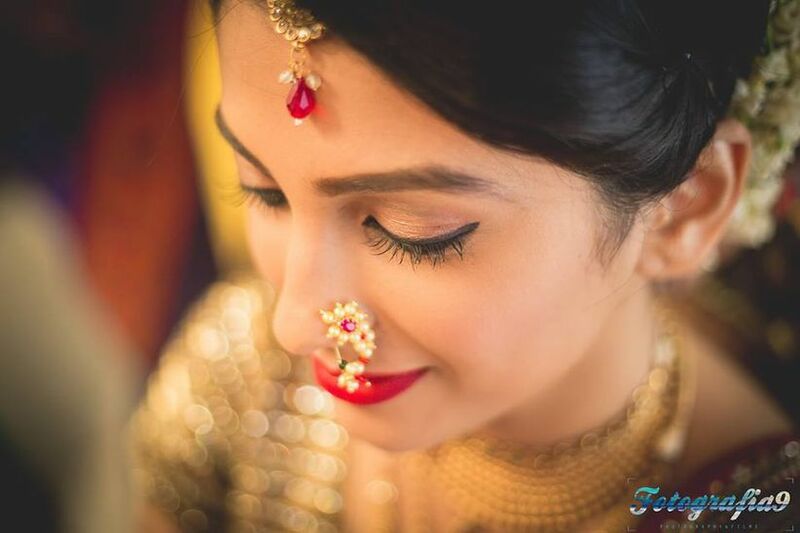 Of all the Bridal makeup tips, the one you need to follow the most is – be you! Don’t try to change the way you look with makeup, just enhance your natural features. You are beautiful just the way you are and you want to look like yourself. Overdoing the makeup will only make you unrecognisable in the pictures, which you wouldn’t want. But how do you decide on all of these styles? A makeup trial is the best way to begin with. It will give you a fair idea of how your favourite makeup looks on you. Finding out looks specific to your face shape and skin tone will feel nothing less than a treasure. Then again, makeup trials are rarely free so you will have to invest time and money in them. Before you get to that step, find basic products that suit your skin tone and go try to establish a vague idea of a look for each attire. Once you have that finalised and booked a makeup artist, then you can ask the professionals for their inputs. 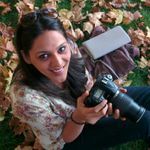 Their expertise and your fresh perspective would lead to something cohesively beautiful. Always have a bridal emergency kit at hand. You never know when you'd need touch ups or rescuing from a mishap. Better safe than sorry. Ask one of your reliable bridesmaids to carry it. Always consider the weather of your destination. If it's summers, you want products that would stay put and in winters, you'd want to avoid a dry look. Go for a dewy look in dry winter weather but not in the humid weather of the coastal destinations. Bridal makeup can be all about a little drama, glitter and glamour or about creating a natural, no-makeup look! Whichever be your taste, ensure that the makeup complements your bridal lehengas and wedding sarees. It’s your day, so remember to look and feel your best! Tell us about your journey of finding the look for your big day using these bridal makeup tips in the comments below.